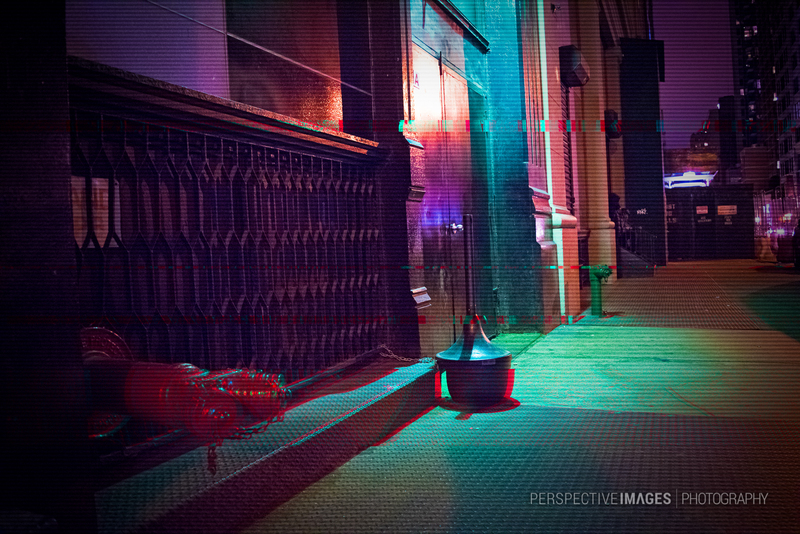 Neon light filters into every corner, no space is immune to its reach. The glow holds Objects, people and buildings in an inanimate stasis, vibrating to the cities lower frequency. Flickering shifts of perception, momentarily tear through the neon grasp. Thank Ginnie, I see what you mean, I do have a bit of cross processing going on. soooo, neon… THAT’S why you haven’t been mugged yet? 🙂 just joking, really beautiful picture! It is like a 3D movie without the glasses on. Very interesting shot. Thanks Michael! I was playing around with some of the pass through settings in photoshop. Do you have urban foxes in NYC? Not in the city but just over in Montclair, NJ where I am we see the the odd one. That’s good to know, we’re planning a trip in 2020.